SAN FRANCISCO -- A construction worker who was injured by a steel beam Friday at the Twin Peaks Tunnel Project has died, San Francisco Mayor London Breed confirmed Saturday. 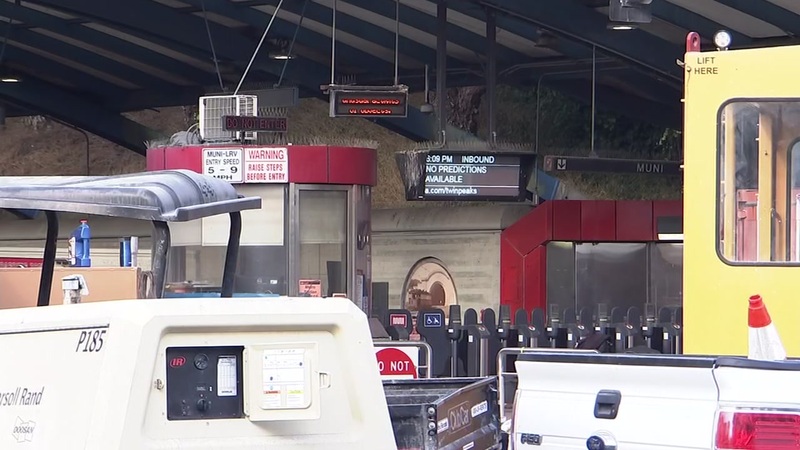 The worker was hit by the beam about 4:30 p.m., on the West Portal site of the tunnel, according to the San Francisco Municipal Transportation Agency. He was taken to Zuckerberg San Francisco General Hospital. "We are saddened to hear about the passing of a signal technician who was working in the Twin Peaks Tunnel yesterday evening," Breed said in a statement released today. "Our sincerest condolences are with his family, friends, and colleagues at this time." "This is a tragic incident and I want to commend the Twin Peak Tunnel laborers who quickly sprang into action to help their colleague," the mayor said. The worker, whose name has not been released, died Friday night and was employed by Oakland-based Shimmick Construction, San Francisco Municipal Transportation Agency officials said. Work on the tunnel has been suspended and the Occupational Safety and Health Administration has been alerted, officials said.